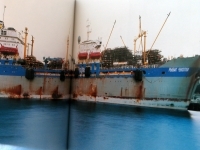 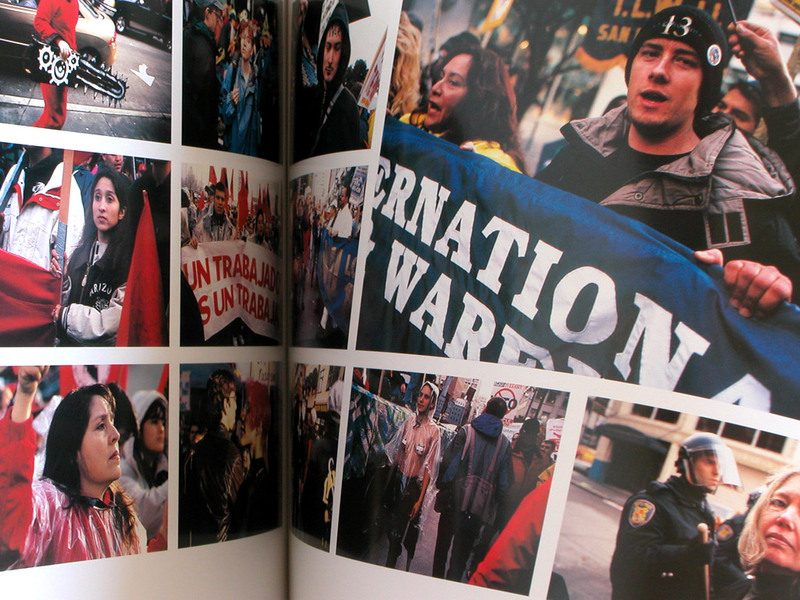 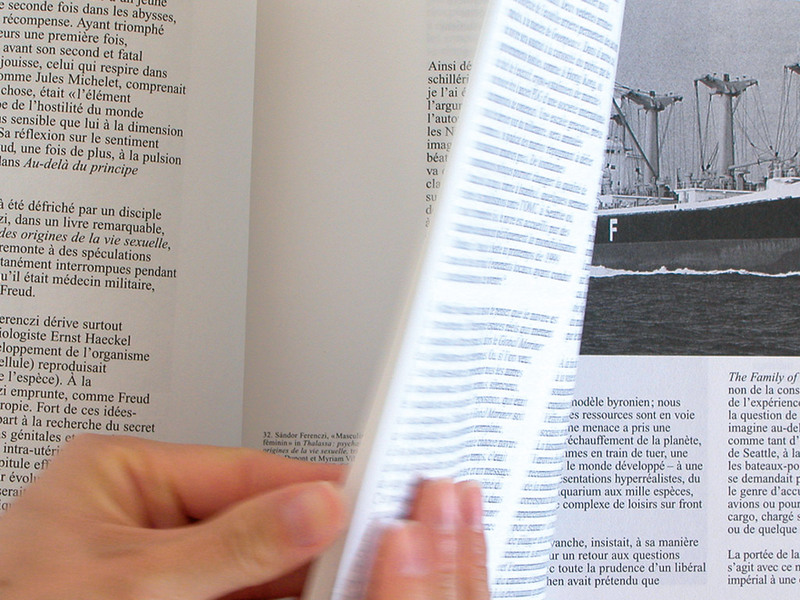 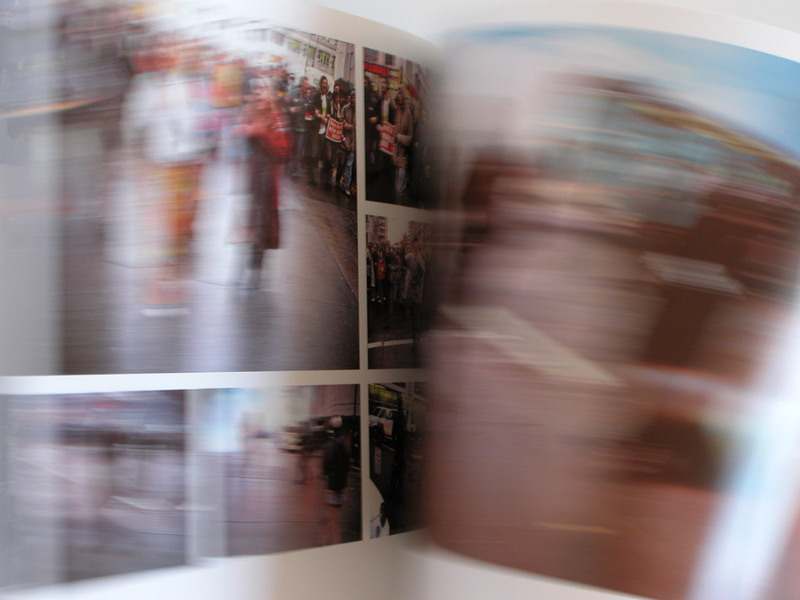 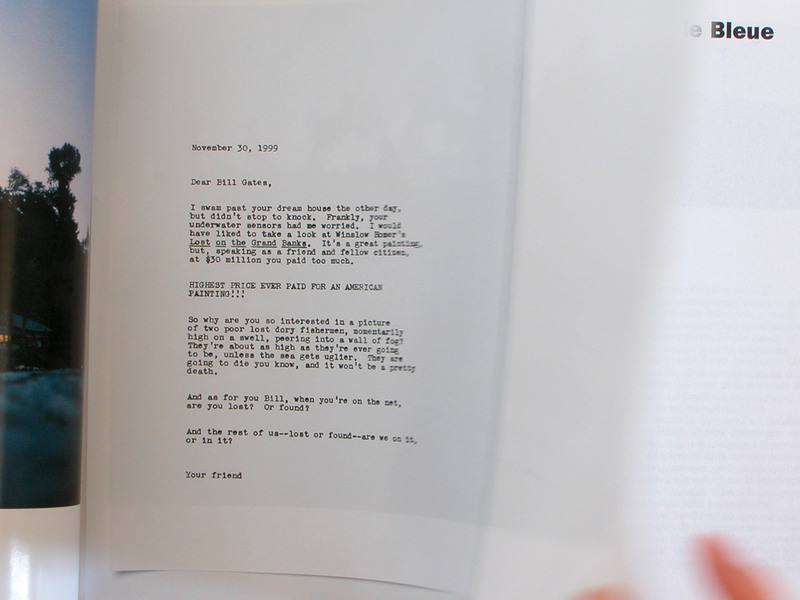 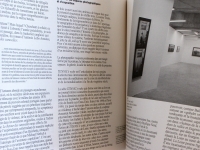 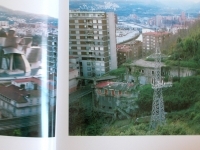 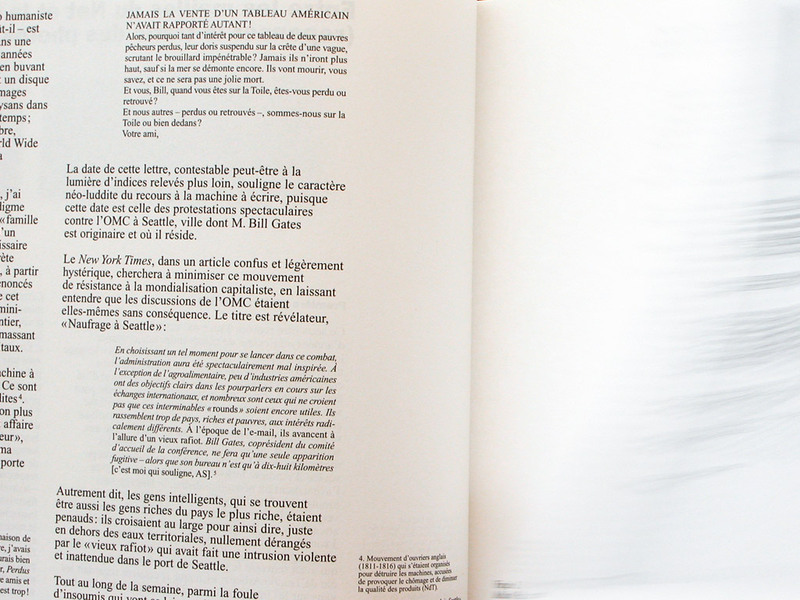 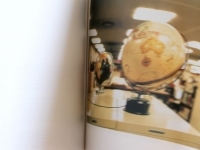 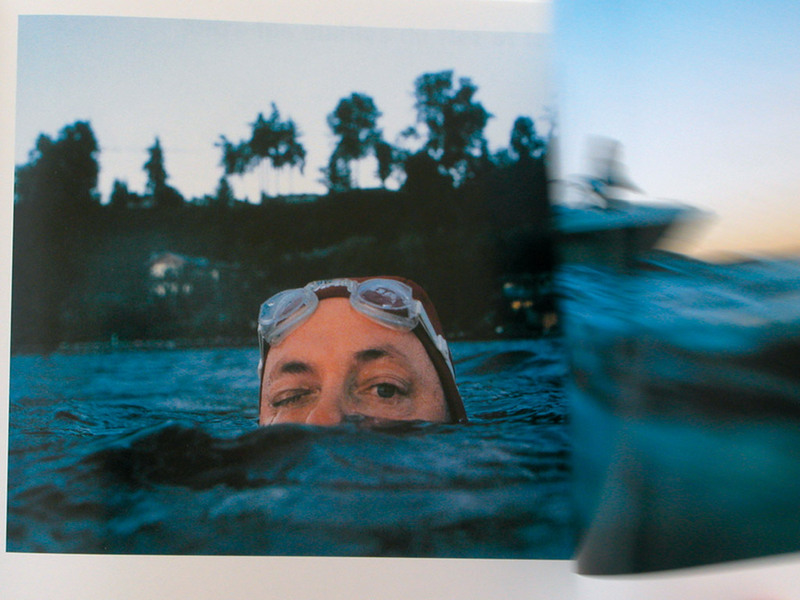 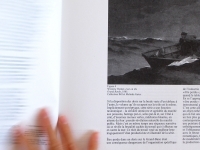 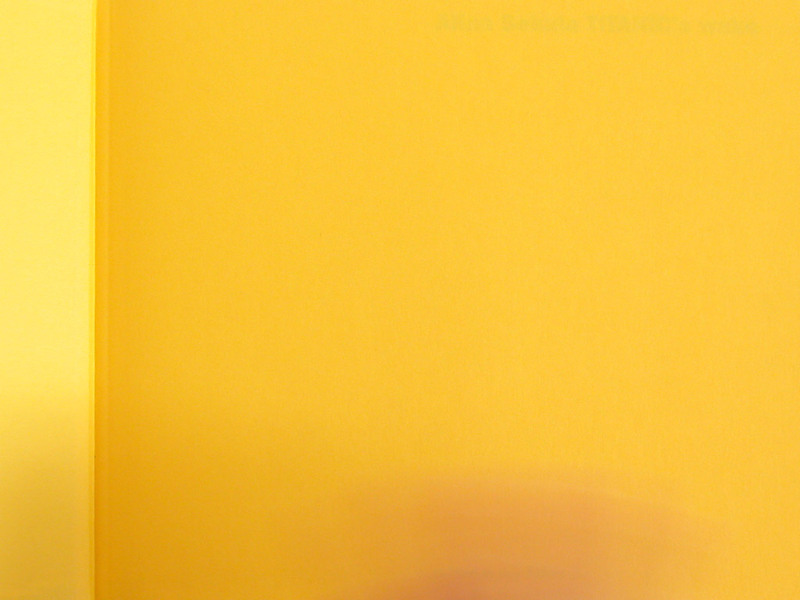 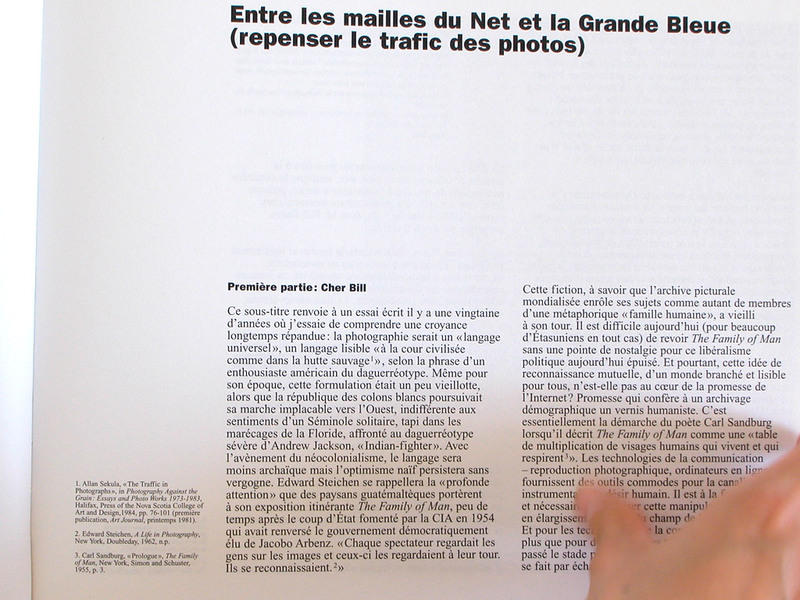 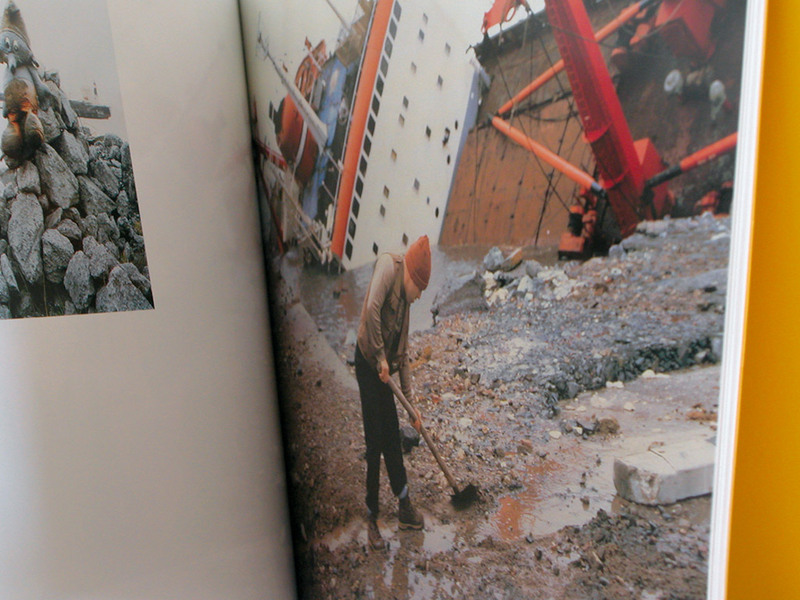 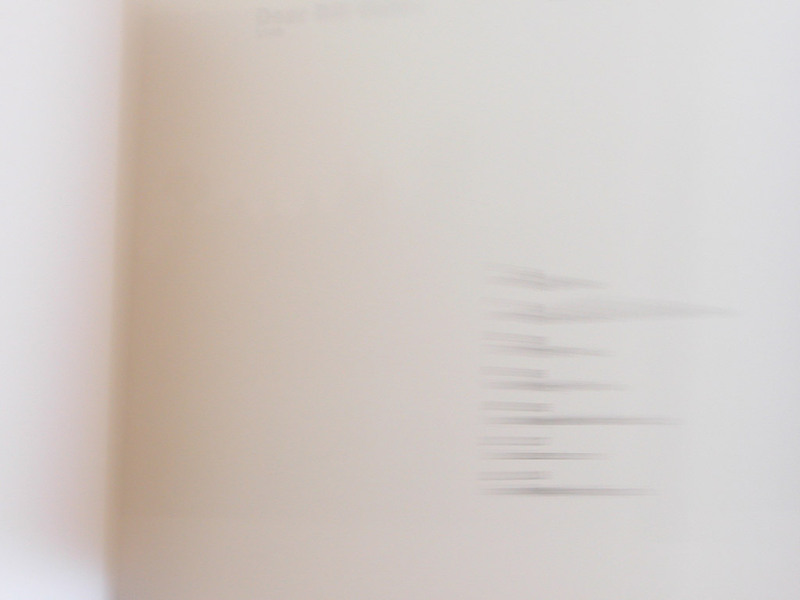 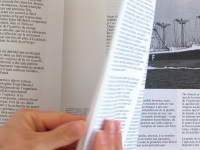 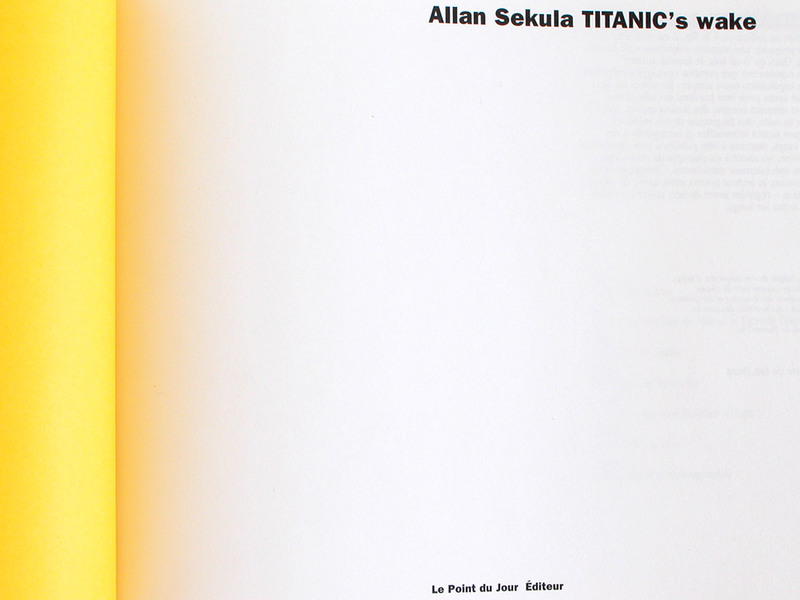 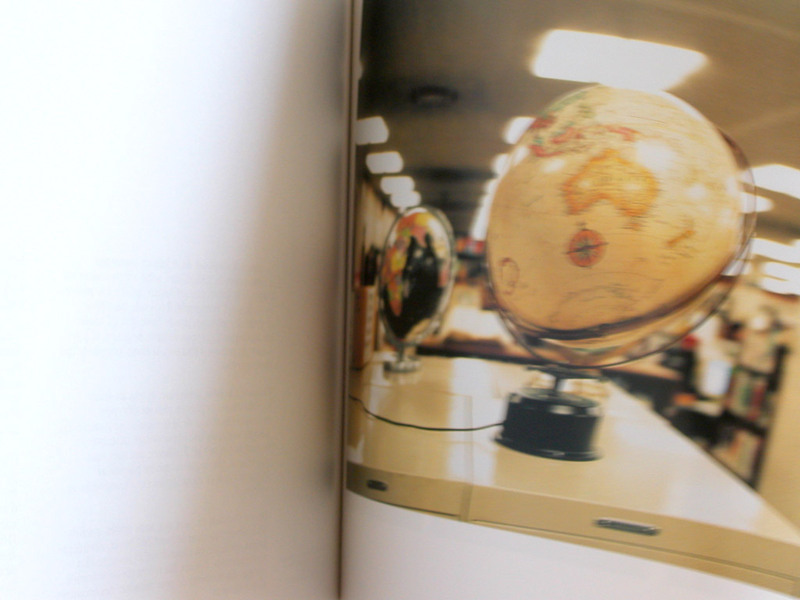 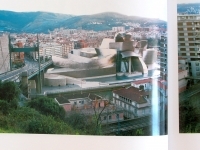 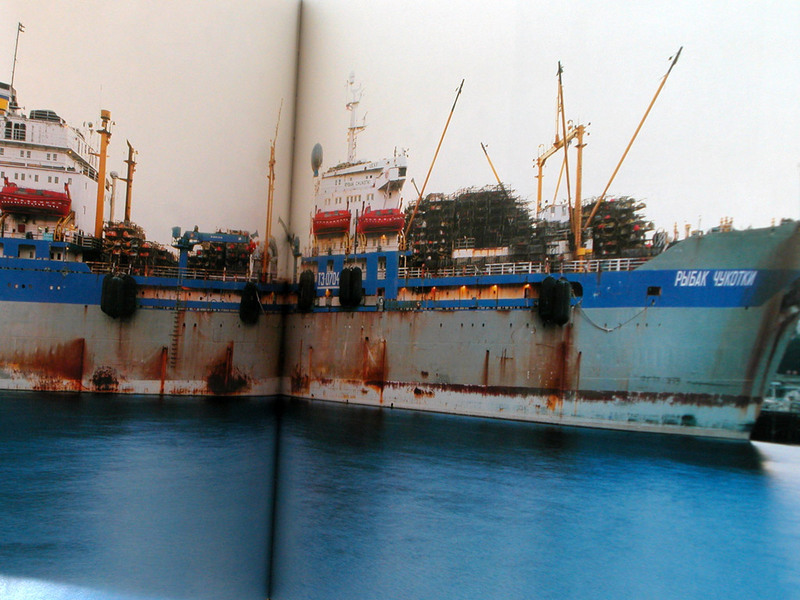 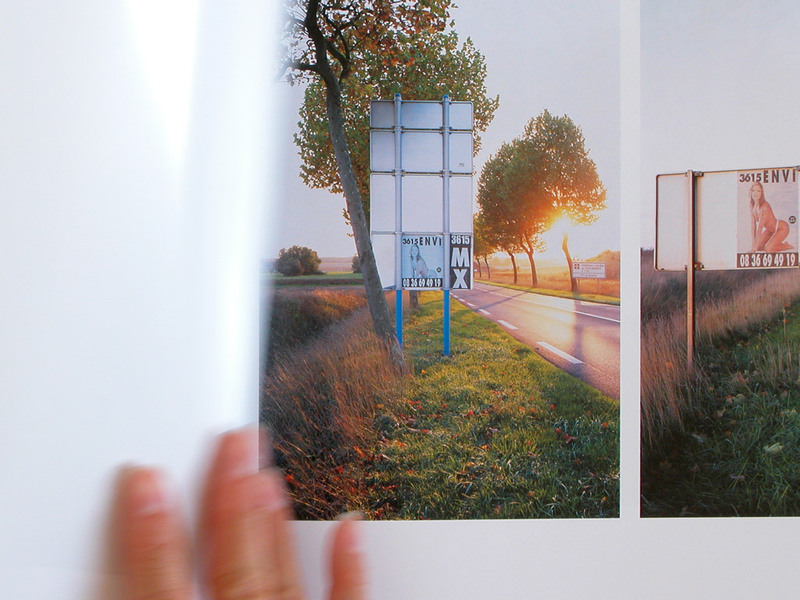 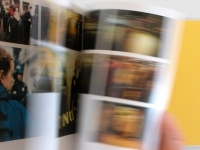 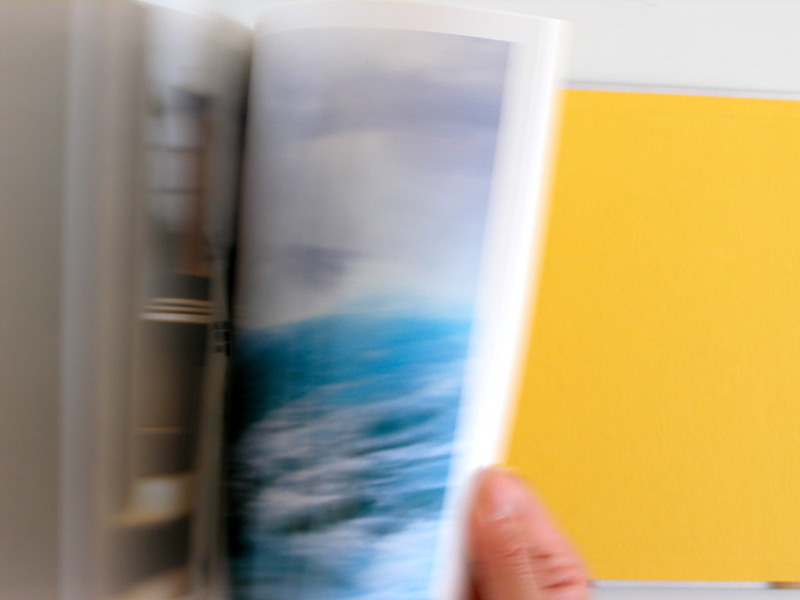 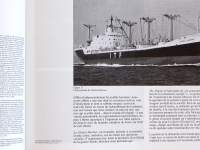 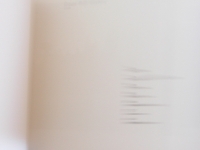 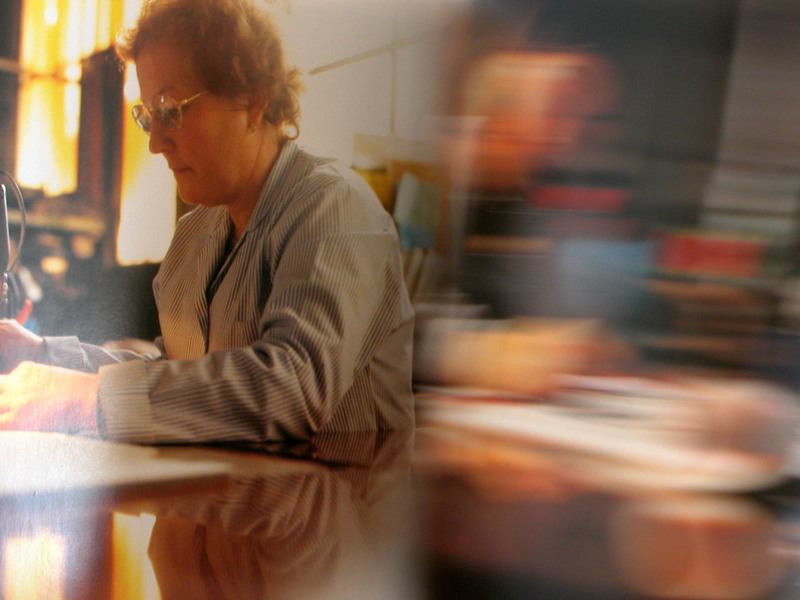 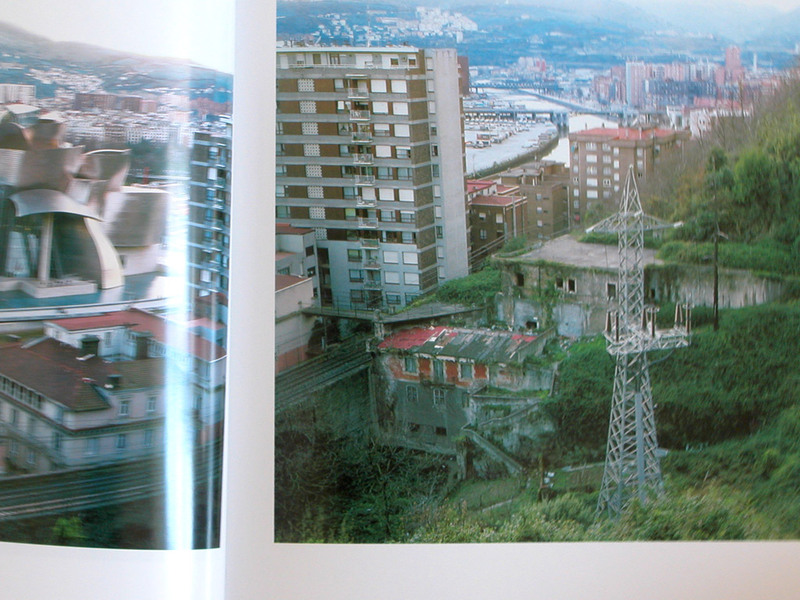 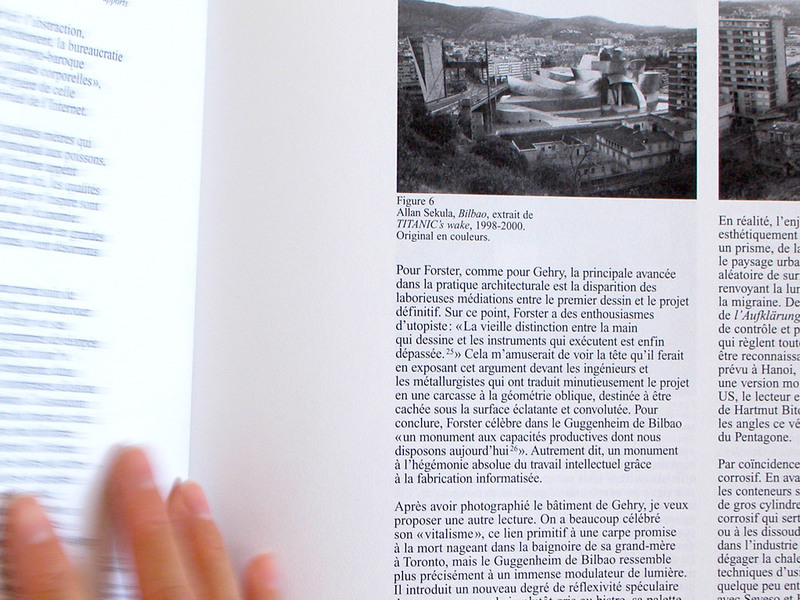 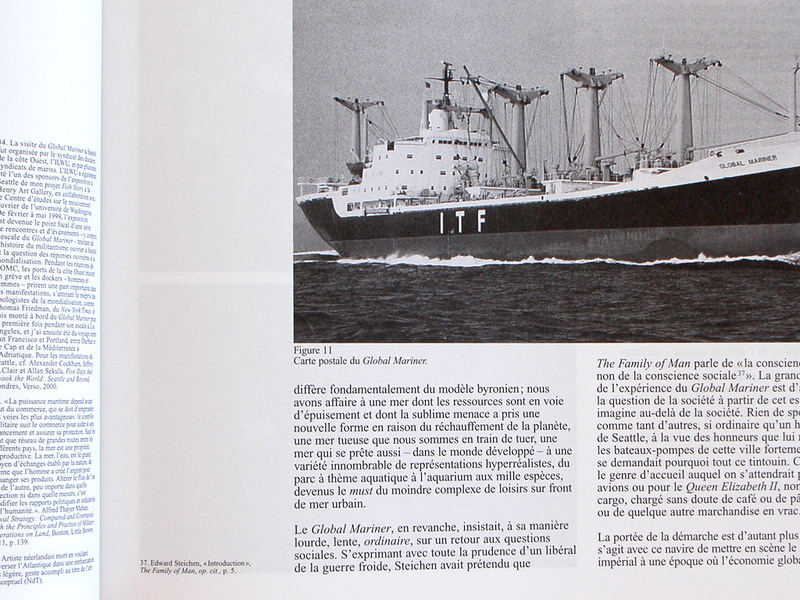 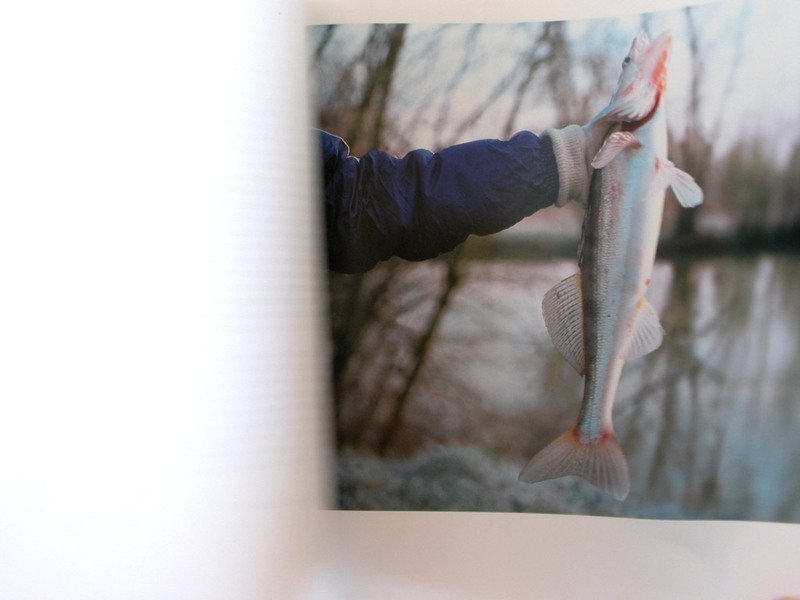 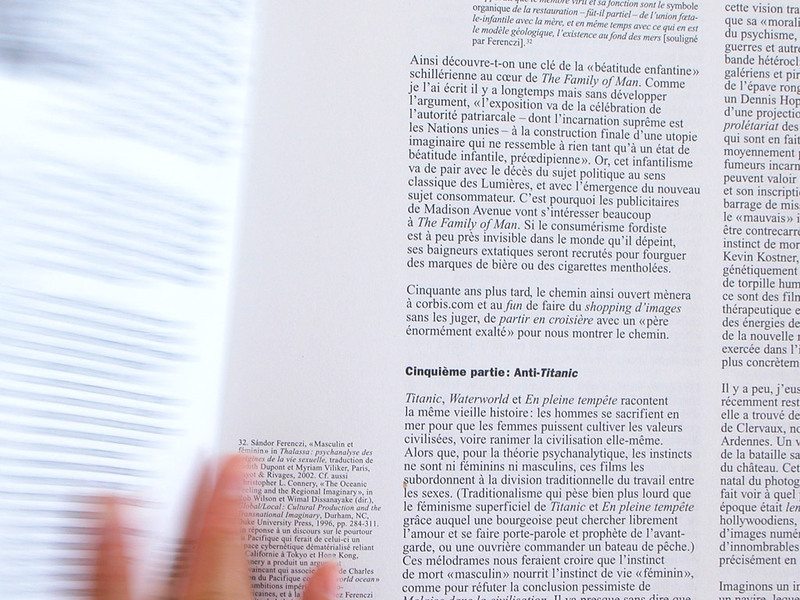 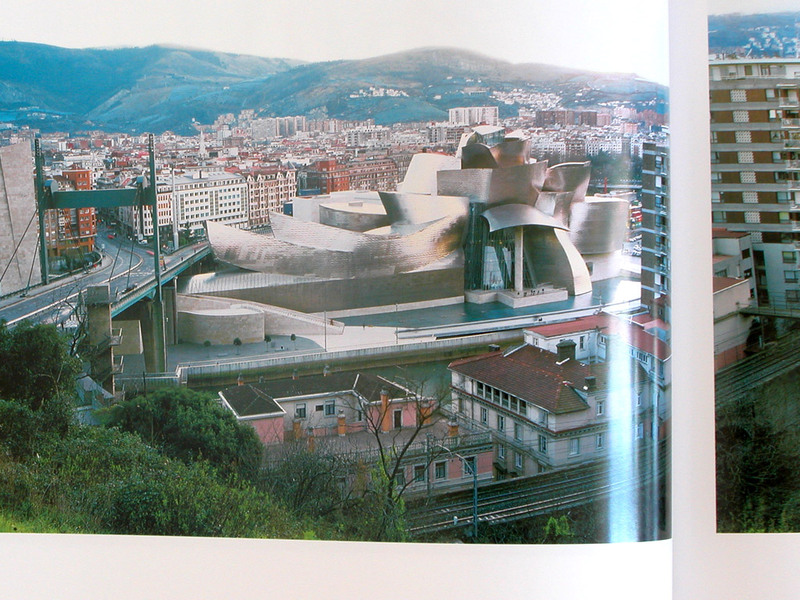 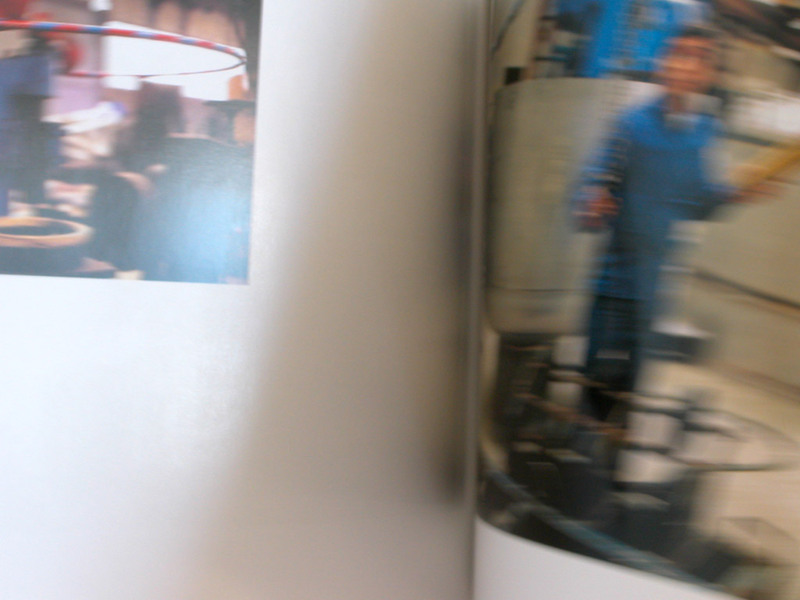 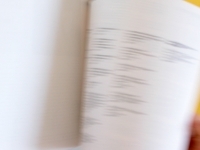 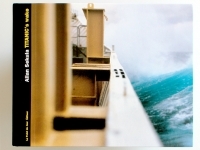 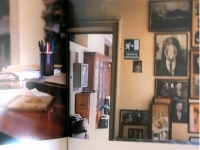 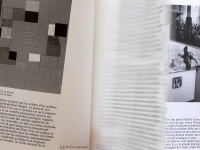 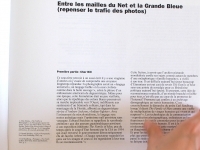 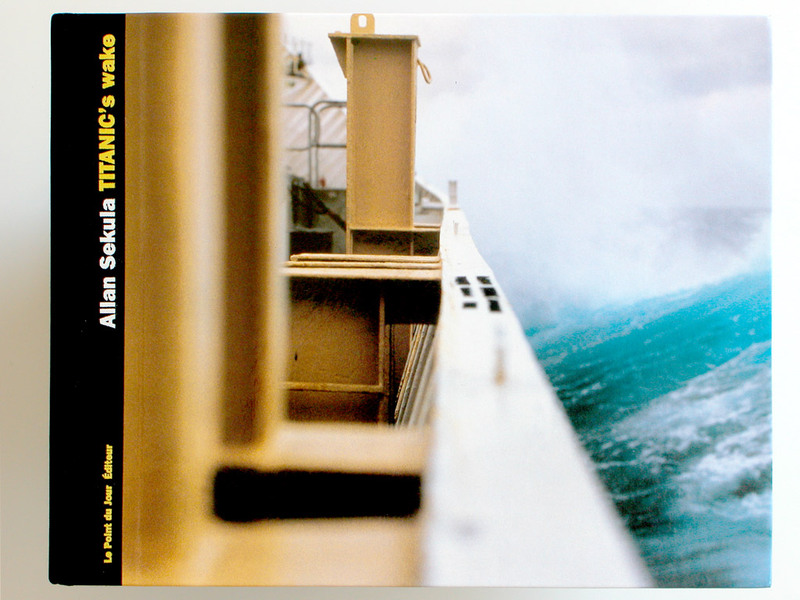 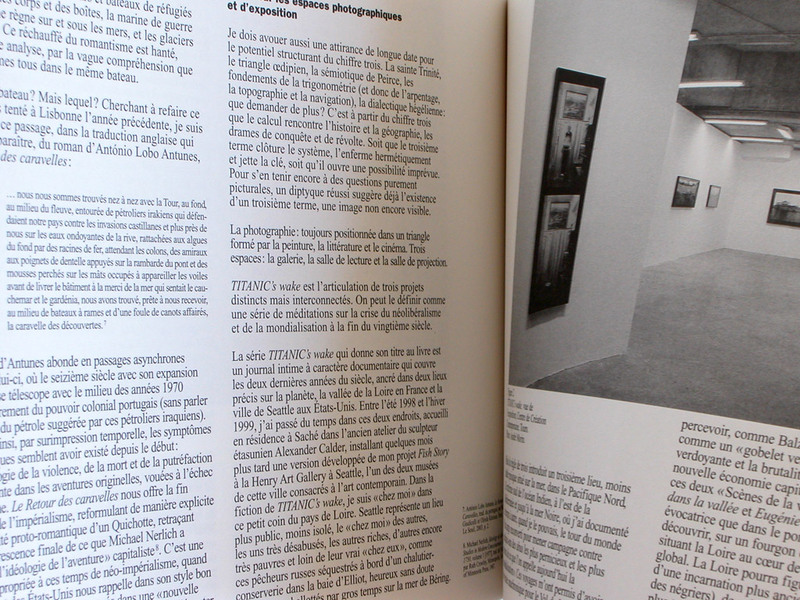 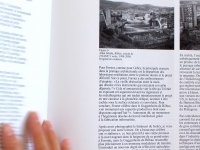 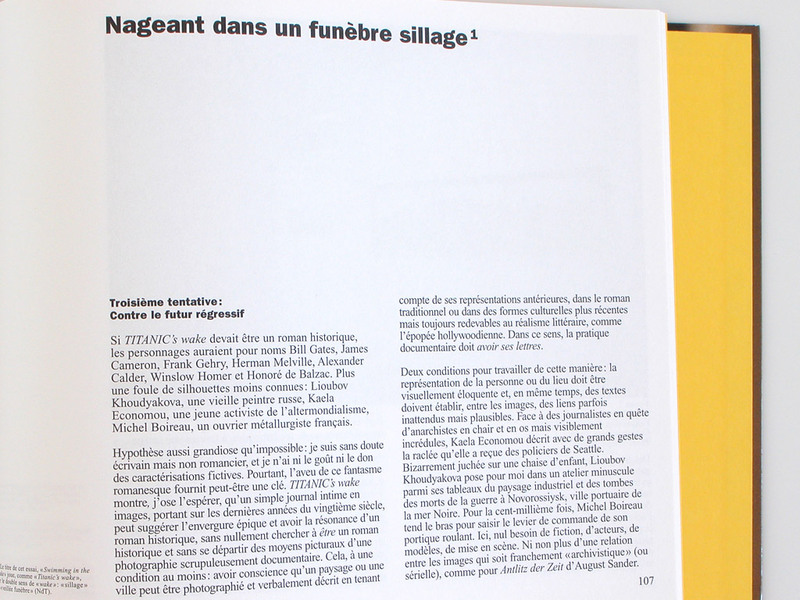 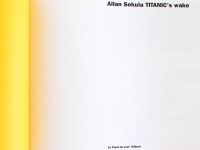 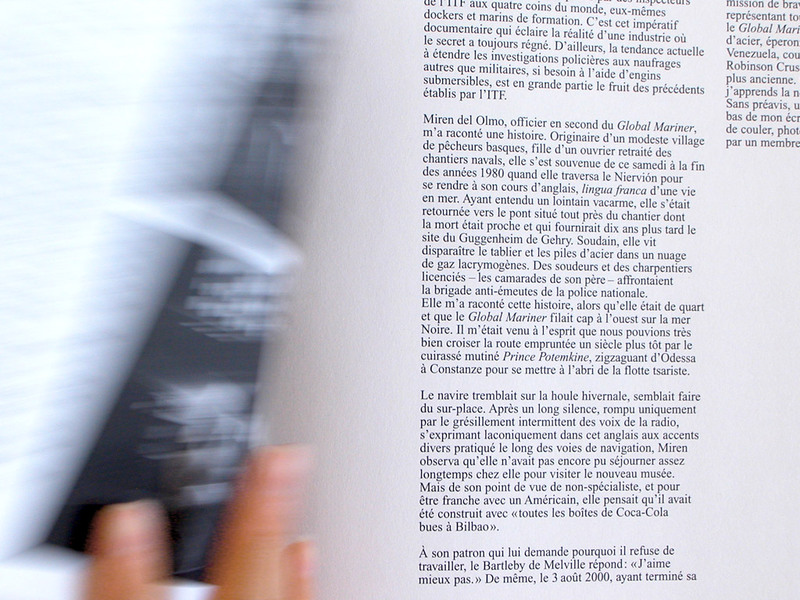 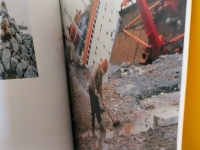 This book by Allan Sekula was published in four different languages. 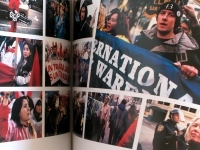 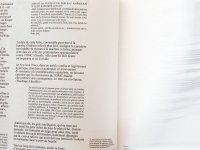 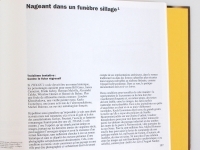 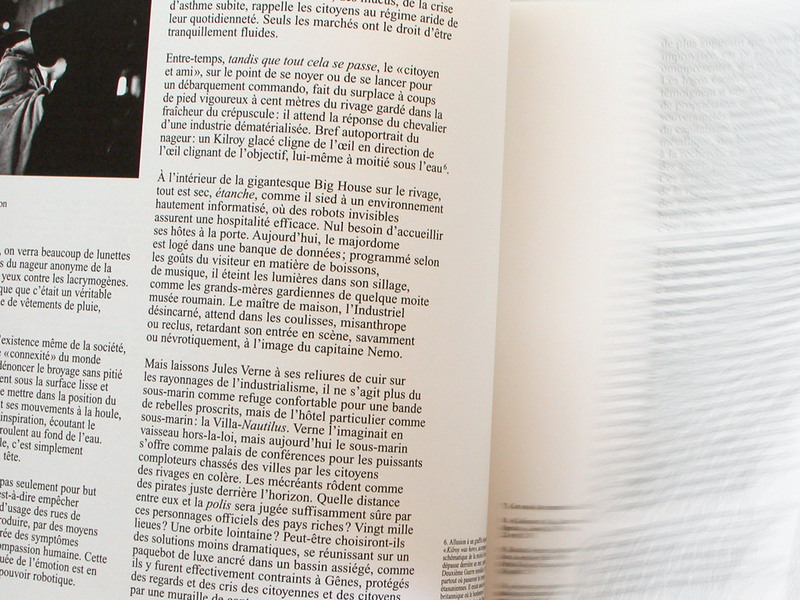 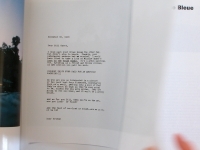 All the texts, disseminated in several signatures throughout the book, were printed in black on uncoated paper while only the images were pinted in color on glossy coated paper. 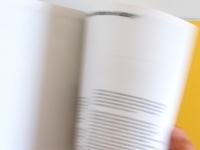 This allowed to change only the black signatures and quarter cloth for the binding of each different version.